Is there a better alternative to Amopic? Is Amopic really the best app in Image Editing category? Will Amopic work good on macOS 10.13.4? 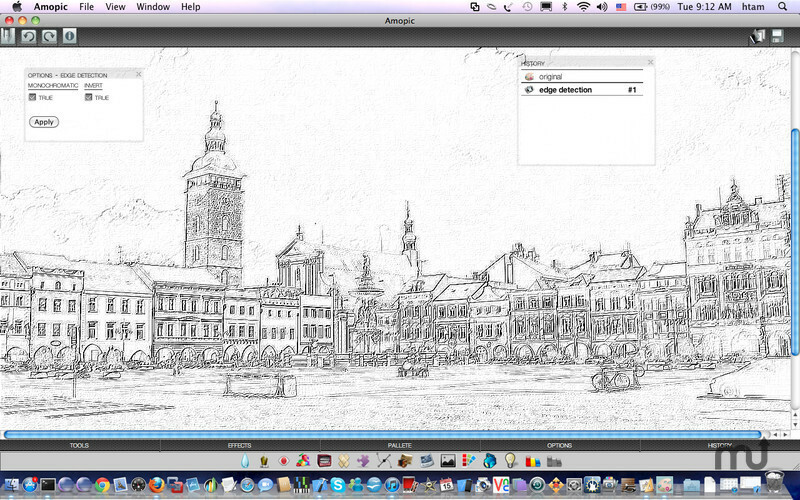 Amopic is an all-in-one photo editing suite. Amopic lets you repair or enhance images on the fly, and share the photo on Facebook. Amopic now brings professional quality photo editing tools, so you can get the results you're looking for without being tied to down to your computer. Whether you just need to fix red eye or crop an image, or go all out with text and special effects, Amopic gives you fantastic results with just a few clicks. Amopic needs a review. Be the first to review this app and get the discussion started! Discretely add effects to a small part of your image, or dramatically change the entire photo with filters and other special features! Feeling creative? Use Amopic's drawing tools to enhance your pics with drawings, paint, geometric shapes and more; or get really artistic and create your own artwork from a blank canvas. Save your masterpiece to your device to share with your friends or post on the Internet later. Unlike PC based photo editing software, you won't find confusing menus or unnecessary options cluttering up your screen. Amopic supports the same gesture based controls you're already used to, so it's easy to learn and fun to use. Download Amopic now you'll create perfect photos and artwork in minutes, but your friends will think it took you hours.